Learn how to fix a flat on your bicycle with the talented mechanics at Missing Link in Berkeley! The team is ready to answer any questions you may have about on-the-road repair. 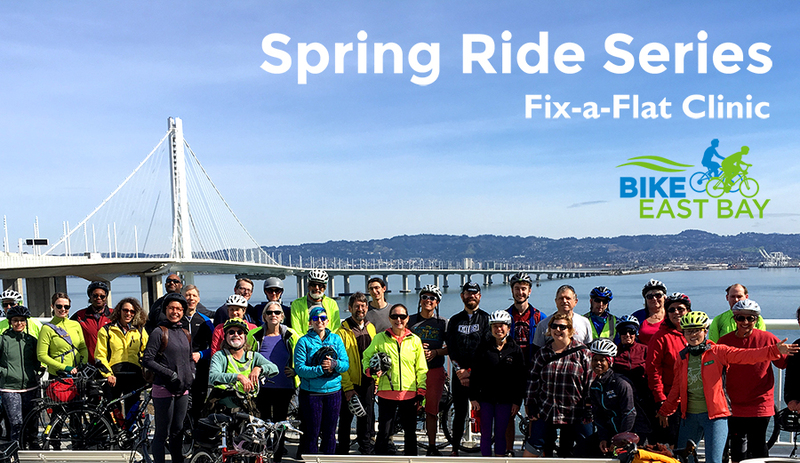 About Bike East Bay's Spring Ride Series: Challenge yourself and explore popular cycling routes this spring. You'll ride alongside Bike East Bay’s team for the California Climate Ride, and the rides are open to all. Whether you’re challenging yourself to ride more, reacquainting yourself with old favorite routes, or making sure you’re fit for your upcoming organized rides, we hope you’ll join us this spring!